I love a mix of rustic and romantic and believe that my jewelry echoes that style. 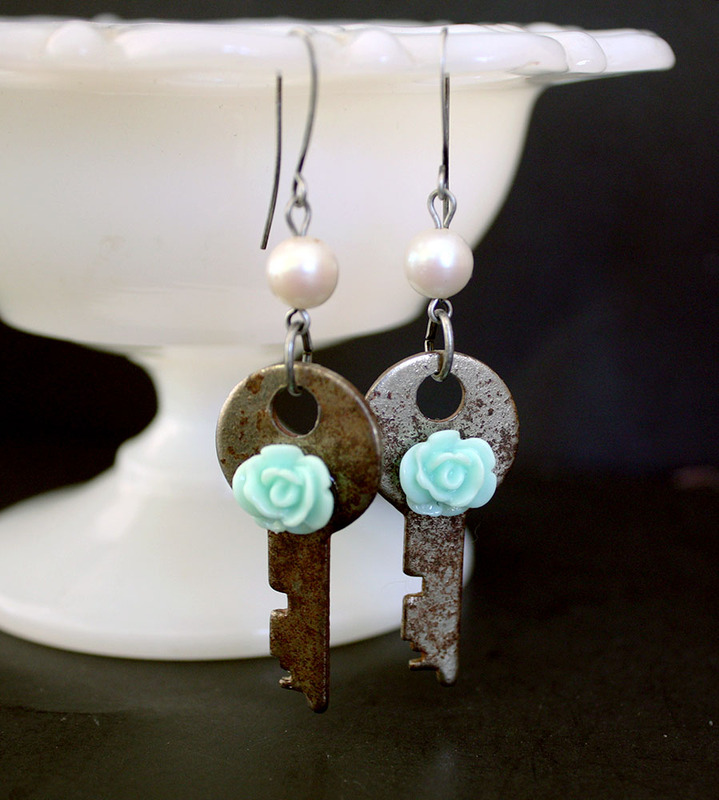 These key earrings not only use found objects, but ones with a little wear to them too. To add femininity, glass pearls and resin flowers were included in the design. Let me show you how to make some yourself. 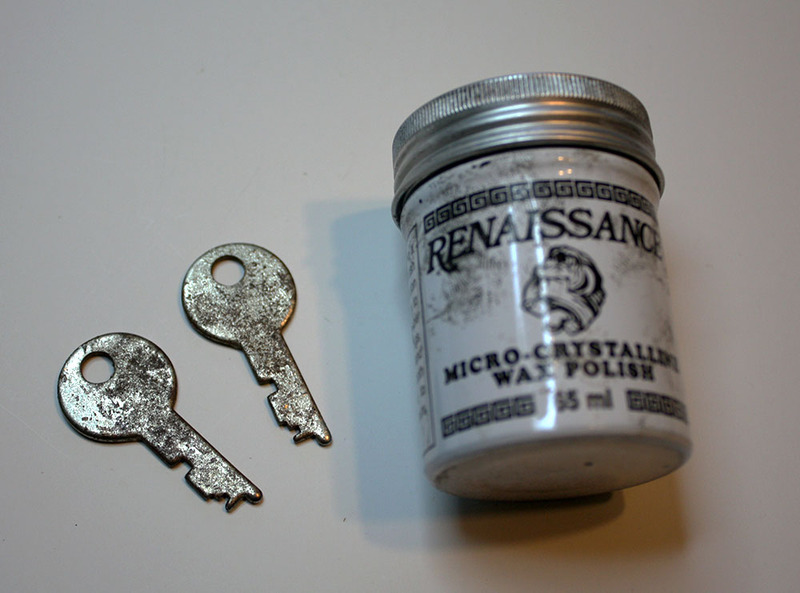 Since I liked the bit of rusty wear on the small keys, I started the process by rubbing the keys down with Renaissance Wax. This will help protect the keys and keep the current patina. Of course, Johnson Paste Wax would also work. Make sure to rub on the wax, let it sit for a minute, and then buff it off. Your keys are now sealed! From there, I added the resin flowers using a dab of E6000. 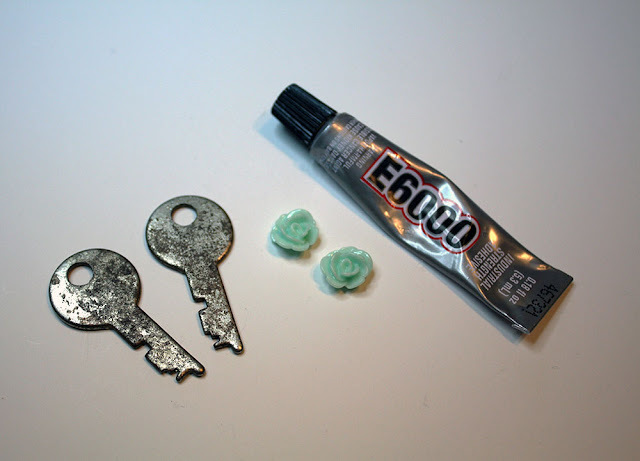 Make sure to let the glue dry thoroughly before handling the keys. 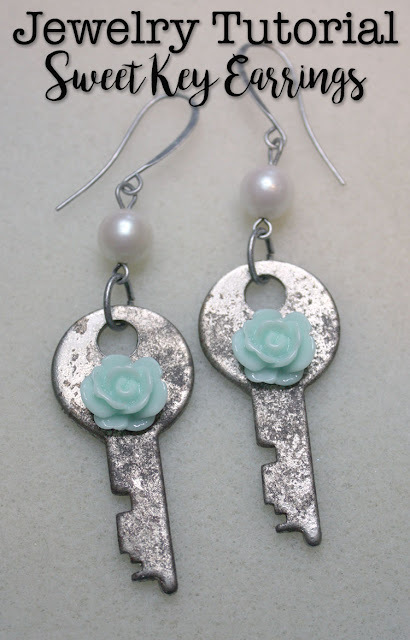 Once your flowers are secure on the keys, gather the rest of your jewelry-making supplies together. In addition to the altered keys, I used two eye pins, two jump rings, two glass pearls, and ear wires. Use whatever metal works best for your design. I went with an antique silver tone. In addition, I also used wire cutters, round nose pliers, chain nose pliers, and bent nose pliers to complete the design. Start by threading the pearls onto the eye pins. Bend the pins at a 90 degree angle just above the pearls. Trim the pins with the wire cutters, leaving just over about a quarter inch. Use the round nose pliers to roll the pins and form a loop. There should now be a loop on either side of the pearls. 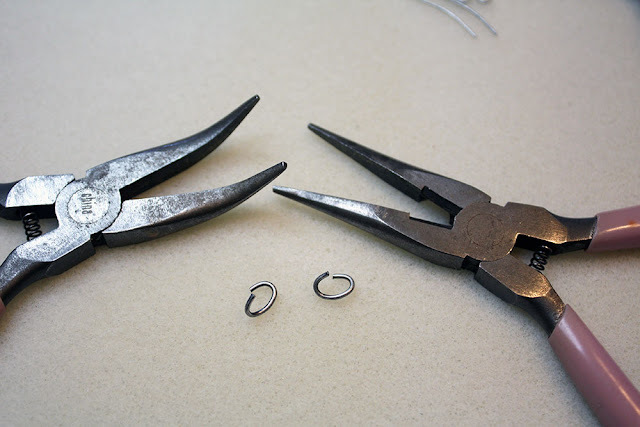 Use the chain nose and bent nose pliers to twist open your jump rings. Always twist your jump rings apart to help ensure that you don't distort their shape and ability to close securely. Slide one pearl connector and one altered key onto each jump ring, then close the rings by twisting them shut. 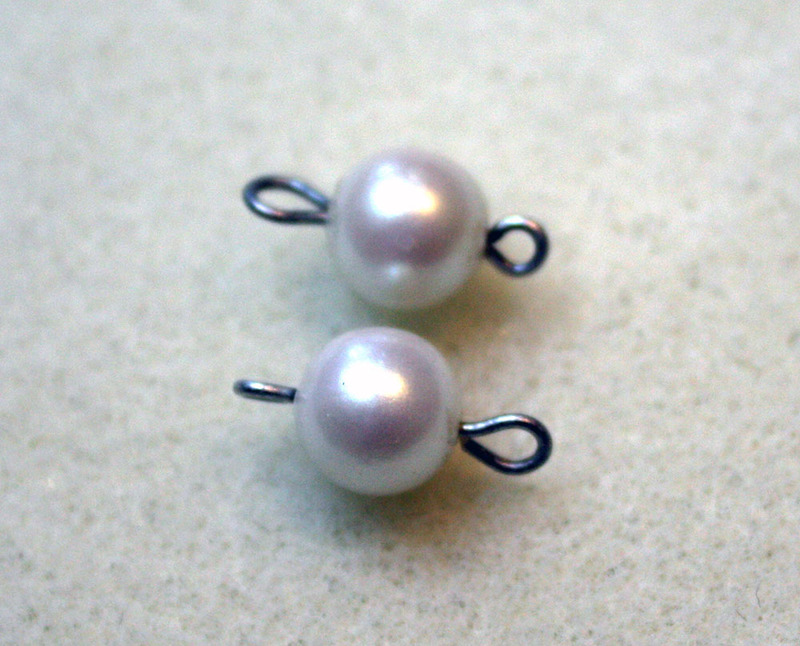 Finally, twist open the loop on the ear wires with the chain nose pliers and slip on the loop at the top of the pearls. 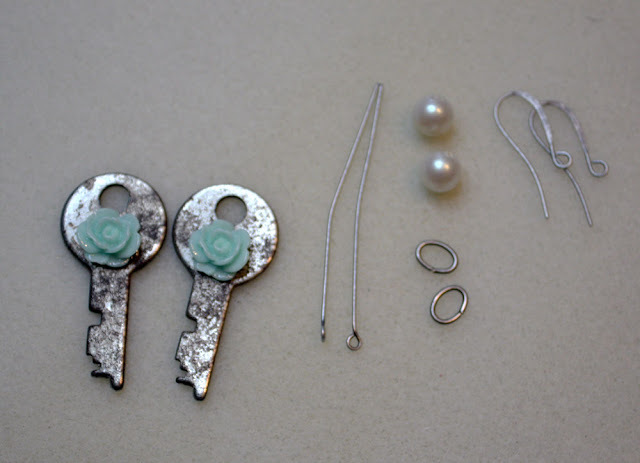 Before closing your loop, make sure that the flowers face forward when the earrings are hanging. See how super easy these are? Of course, if you're not up for making them. . . 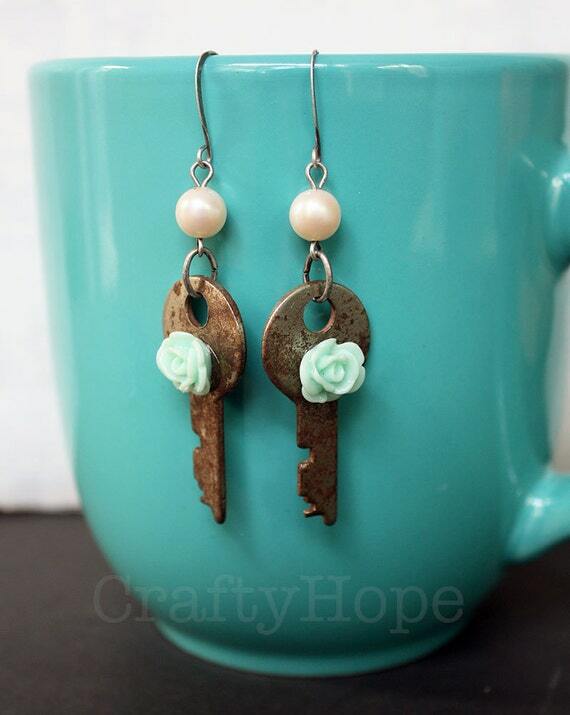 I do have these exact earrings listed in the CraftyHope etsy shop. And, I'm hoping to get the CraftyHope newsletter up and running very soon. I'll be kicking it off with a coupon code, so make sure to sign up! 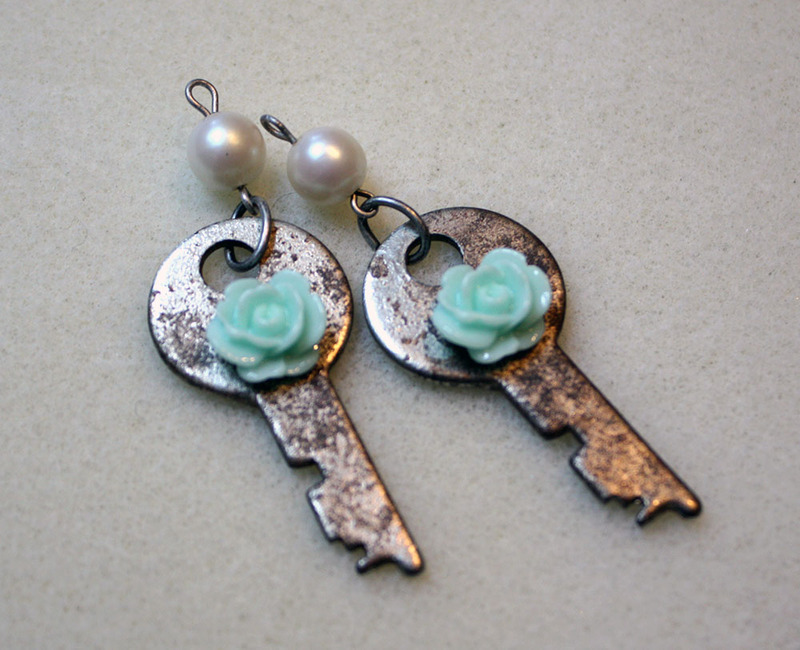 Oh, and if you have any questions about how to make your own earrings, please don't hesitate to ask! 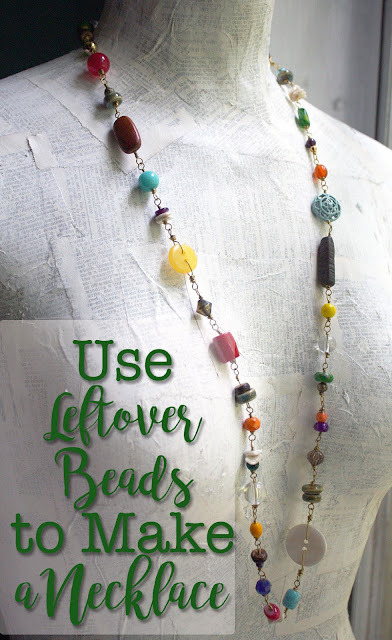 This is linked up at Coastal Charm's Show and Share and Talk of the Town Link Party. Thanks so much! :) I appreciate you stopping in.